When we think about where seafood comes from - assuming we think about it at all - we are likely to envision massive, technologically gifted boats plying huge seas in terrible weather, with gigantic paydays as their reward. While lots of seafood does come from those industrial, large-scale vessels, perhaps 99 percent of the world's more than 50 million fishermen operate in artisanal, traditional and subsistence fisheries, mostly in developing countries. And unlike their heavily equipped, wide-ranging cousins, small-scale fisheries operate in waters relatively close to home. These small-scale fleets and their activities are hard to define clearly, and even harder to manage and monitor. In most countries, seemingly straightforward variables, such as number of boats, types of gear and amount of catch are nearly impossible to obtain at national scales, let alone regional or global. Don't let the term "small-scale" fool you; the cumulative fishing effort exerted by these fleets around the world daily far exceeds fishing effort of large-scale fleets. For example, in Peru alone there are an estimated 10,000 small-scale fishing vessels -- and nearly 40,000 people fishing on those vessels. For comparison, there are more than 100,000 kilometers (62,000 miles) of gillnets in Peruvian waters, which is 14 times the length used by the Taiwanese high seas driftnet fleet in the Pacific Ocean (these nets were banned in the 1990s). In addition, 80 million longline hooks are used annually in Peru; that's one-third of the amount used in the global swordfish industry. Understanding the scope of catch by small-scale fisheries is challenging on its own, without even considering bycatch -- non-target species that are unintentionally hooked, tangled, trapped or otherwise caught in fishing gear. Despite herculean efforts by observers and researchers around the world, the magnitude and impacts of bycatch on endangered species like marine turtles are relatively unknown for most populations, especially in small-scale fisheries. In a new study published in the journal Ecosphere, I and a group of fellow researchers tried to get a better understanding of bycatch impacts on sea turtles by compiling all published records of bycatch and tallying rates of bycatch and mortality in different types of fishing gear for all turtle populations worldwide. Bycatch rates and mortality were, on average, highest in the East Pacific, Northwest and Southwest Atlantic, and the Mediterranean, making these the hardest places in the world to be a sea turtle from a bycatch perspective. Our results also pointed to high bycatch in nearshore areas and fishing gears usually associated with small-scale fishing. The most lethal gears included nets and longlines anchored to the seafloor -- gears often used in nearshore areas by subsistence fishermen -- which prevent ensnared turtles from reaching the surface to breathe, resulting in elevated mortality rates. Despite being limited in how broadly and how much gear they can fish, small-scale fleets can have disproportionately big impacts. The highest bycatch rates in the world have been reported off Mexico's Baja California Sur peninsula, where researchers estimated that as many endangered loggerheads are caught annually by just two coastal fishing communities than in the rest of the North Pacific combined. How does this happen? The formula is actually quite simple: lots of turtles in an area + lots of fishing gear in the area = higher chance of turtle bycatch. So although loggerheads occur throughout the North Pacific, they concentrate in extraordinarily high numbers off Baja, precisely in areas where small-scale fishermen make their living. Lots of turtles, lots of gear, lots of bycatch. And the more we learn about small-scale fisheries bycatch, the more we understand that this is relatively common. But perhaps the most alarming result of our study was the lack of available bycatch data in several regions, including West Africa, the North Indian Ocean and Southeast Asia. These regions are known for high turtle densities as well as abundant small-scale fishing, making them prime candidates for high turtle bycatch. But it's difficult to make that case clearly without information. Fortunately, there are glimmers of hope. Each year, we learn more about how, where and how much bycatch is occurring. Heroic efforts by conservationists and fishing communities are exploring ways to use gear changes, innovative technology and shifts in fishing areas to reduce turtle bycatch while maintaining target catch. Given that more than half of the world's population lives within 200 kilometers (150 miles) of a coast, and more than a billion people worldwide, particularly in developing countries, depend on oceans -- and fishermen -- for their primary sources of protein, it is critical for these small-scale fisheries to be sustainable. 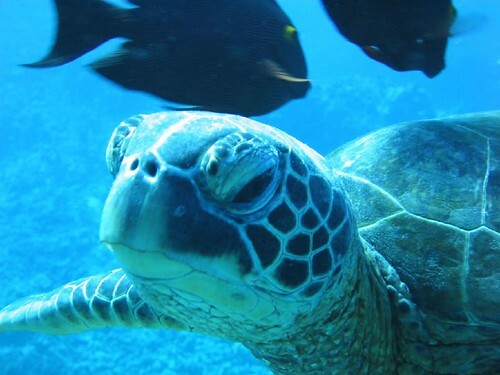 Human food and livelihoods -- as well as iconic marine species like sea turtles -- depend on it. Originally posted by Conservation International.